If harnessing a century of engineering excellence isn’t enough to convince you to invest in the Cummins C550D5e diesel generator set, the technical features of this impressive model almost certainly will. The C550D5e features the exceptional QSX series engine along with a cast iron cylinder block, cast steel crankshaft and connecting rod, a built in water circulating pump and thermostat (to improve working efficiency), the Cummins high precision Fleetguard filter, AmpSentry™ patent protection and the Schneider breaker - and all of this is precision controlled by the PowerCommand® 2.2 microprocessor based control system. 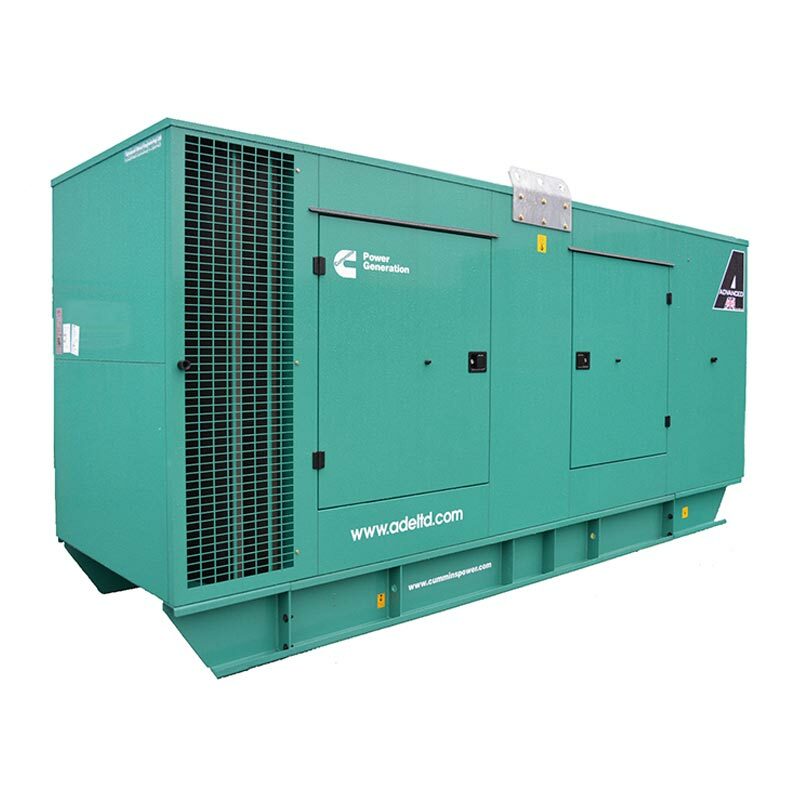 With all this, and more, to offer, this diesel generator set is ideal for integrated power generation, providing optimum performance, reliability and peace of mind for any standby, prime or continuous power generation needs. Battery Charger, Water Heater, Set Mounted 4-pole Circuit Breaker, 820 litre Base Fuel Tank & Close Fit Acoustic Canopy (77 dBA @ 1m).